Stockport County 2 Rushden & Diamonds 2, 22/01/2006. 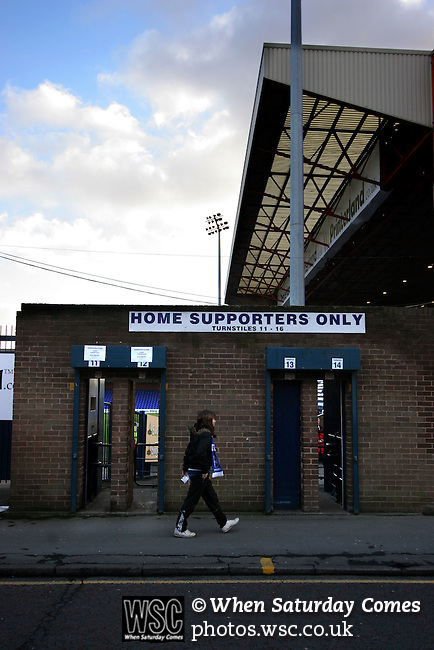 Edgeley Park, League Two. Stockport County versus Rushden & Diamonds, Coca-Cola Football League Two at Edgeley Park, Stockport. With the teams occupying the bottom two places in the Football league, points were vital in home club's Jim Gannon's first game in charge as manager. The match ended 2-2. Picture shows a fan heading towards the home end.